Is there any easy way to create radar chart like this one please? I found a very nice and useful library called ios-charts, but I can't seem to find a way to change the hexagon look they use for radar view with this circles that I need. Also, it looks like you cant use ios-charts with pods for project supporting lower platforms than ios 8.0, which is a bit of a problem. first of all, I am using ios-charts on iOS 7. You just need to use source files for ios 7.0. 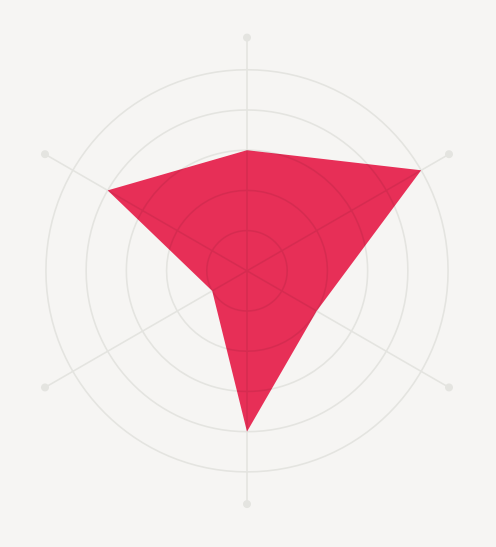 Towards radar chart, you want arc line rather than straight line, you can override drawWeb to draw the webs with arc. Not the answer you're looking for? Browse other questions tagged ios charts radar-chart ios-charts or ask your own question.